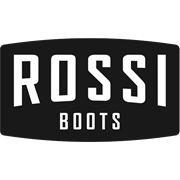 The Rossi 607 Booma is a hardy all-round leather elastic side work boot. Booma's rubber outersole is made from nitrile rubber, a heat treated rubber that's famous for heat, oil, acid and slip resistant properties and it performs well in soil due to its mud shed sole feature. While the polyurethane midsole offers cushioning rebound and deeper comfort thanks to our 'air cushion' construction, the mud shedding tread underfoot makes it easier not to bring mud into the house. We use the highest quality full grain kip leather, its supple, robust and ages well. 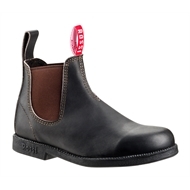 The people who love this boot work on the farm, in landscaping, in hospitality and at wineries.